Stanley Kubrick directed 13 features during his nearly 50-year career. Although many of these movies are divisive, it's hard to argue with their technical expertise. One of his most acclaimed pictures is 1975's Barry Lyndon, which won four Academy Awards and was nominated for three others. It took home Oscars for Art Direction, Cinematography, Costume Design, and Original Score. 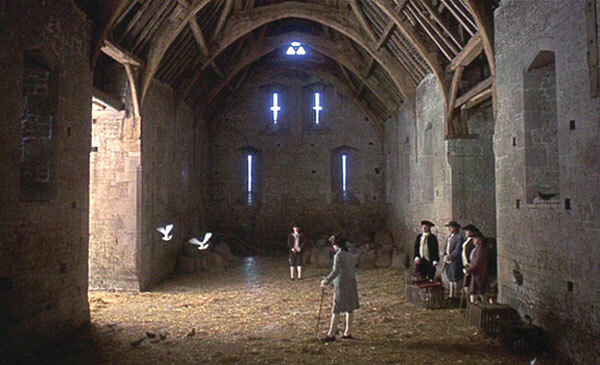 Kubrick was a meticulous craftsman who obsessively worked on specific scenes for a long time. This is one of the reasons why he directed such a small number of movies. The only other movie he released in the '70s was A Clockwork Orange, and that arrived four years earlier. The Shining wouldn't follow until 1980. This scarcity means that each Kubrick film is worth seeing, even a period piece. That fact made this film a perfect choice for my continuing List of Shame series. 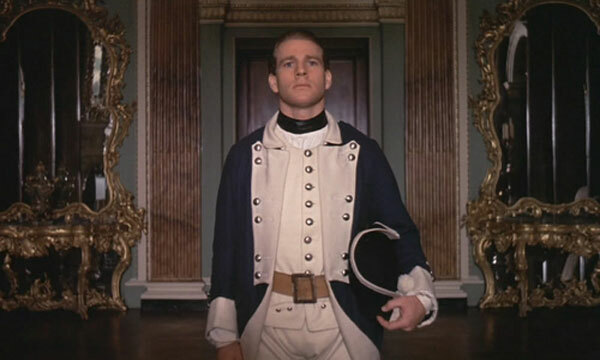 Redmond Barry (Ryan O'Neal) is raised by his mother in 18th-century Ireland after his father is killed. He falls in love with his cousin Nora Brady (Gay Hamilton) but she rejects him for the wealthy Captain John Quin (Leonard Rossiter). Redmond challenges the English guy to a duel and apparently kills him. He flees to avoid the law but is quickly robbed of all his money. He joins the British army and fights in the Seven Years War, but the glories of battle aren't all they're cracked up to be. He flees and embarks on a series of other adventures that take him all over Europe. Redmond joins another army, marries a wealthy countess, and battles a powerful Lord over her money. It's an epic story of an Irish guy who's consistently improvising and willing to do about anything when he's challenged. Of course, achieving success might not be such a great thing for the ambitious fellow. There are two main reasons that I haven't taken the plunge. The first is the three-hour length, which was enough to make me hesitate before starting it. That was one factor, but just the running time wouldn't be enough to keep me away. The subject matter also played a role; I'm just not a huge fan of period pieces. The clips that I'd seen of this movie did not make it look like a thrilling story. I needed an extra push to get motivated to check it out. Kubrick's involvement should have been enough, so I recognize the silliness in my reluctance. Still, it isn't always easy to jump into a three-hour epic. This is a difficult question because it's a period piece set in the 18th century. 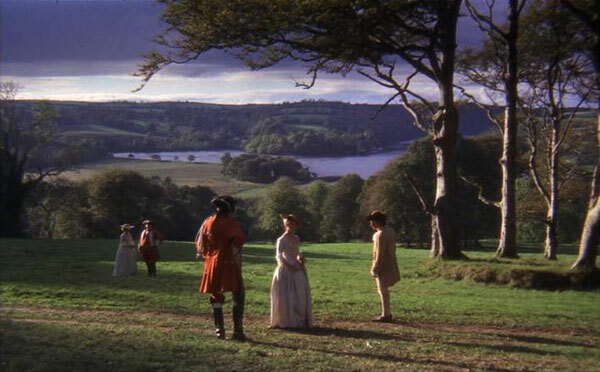 Although it was released in 1975, Barry Lyndon doesn't feel connected to that era. Modern audiences aren't going to have an easy time sticking with this story. Unlike a more energetic movie like Marie Antoinette, this one really takes its time. 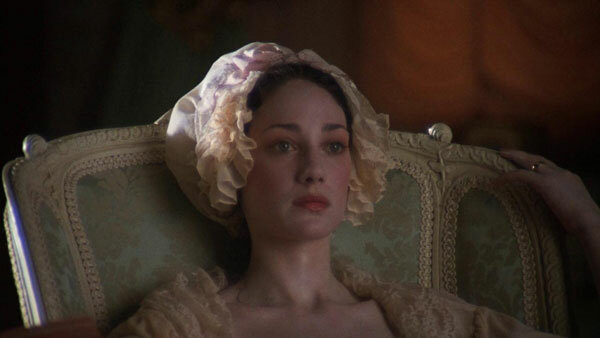 Once Redmond marries the Countess (Marisa Berenson) and becomes Barry Lyndon, the pace slows down even further. It becomes a battle of wills between Barry and his step-son Lord Bullington (Leon Vitali) on their lavish estate. The set design and costumes are remarkable, but it doesn't lead to a thrilling experience. This story is based on the 1844 novel The Memoirs of Barry Lyndon, Esq. by William Makepeace Thackeray, so it hearkens back to a much-different era. Kubrick's films generally still work for younger audiences, but this might be an exception. Another challenge in connecting with this film is the enigmatic lead character, whose actions become less appealing during the second part. An omniscient narrator describes the proceedings and gives more insight into the character's thought processes. He's not entirely trustworthy, which is an interesting twist. Ryan O'Neal does a solid job as the lead, though his face isn't very expressive. His blank acting style is the right fit for Redmond, who's constantly evolving. When he gains wealth, he seems the least happy and carries a great weight on his shoulders. Marisa Berenson has a pretty thankless role as Countess Lyndon because her new husband treats her so poorly. After they meet, the story quickly moves towards their wedding. Once they're together, she grows depressed after realizing his love was a ruse. 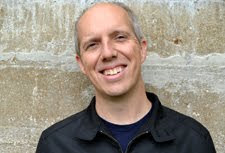 Looking at the other supporting roles, Godfrey Quigley stands out as Captain Grogan. He shows true caring for Redmond, which is a rarity in this universe. Kubrick is a master technician, and there are many attractive shots with everything placed just right inside the frame. The shot of the British army striding towards a French line for an impending battle is stunning. It clearly shows the craziness of this old-school style of fighting while creating a memorable image. Another major scene is the early duel between Redmond and Quin over honor. While it plays out like we expect, it isn't clear why the English officer would even bother to risk his life against this guy. Later revelations drastically change our view of the scene and show we've been duped along with Redmond. That's one of the better tricks in the script, and I had no suspicions anything shady was happening. The second half is less successful, but it does effectively show the anger that's growing inside Redmond towards Bullinger. When he snaps in front of the sophisticated audience, it's a pivotal moment that reminds us of the character's roots. 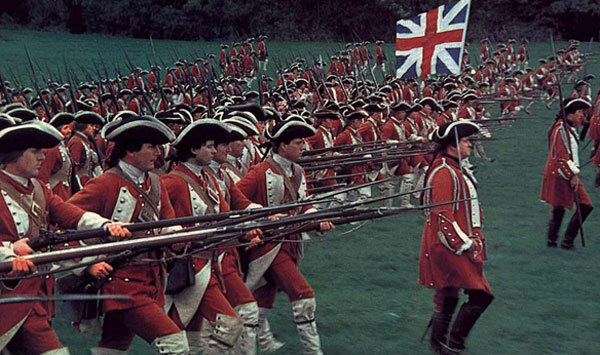 I understand why Barry Lyndon is so acclaimed. It's striking and includes a well-crafted script. It's a fictional story, but it feels like this could depict a real person's life during that time period. Even so, my reaction is pretty cold to the material. I was interested in where Redmond's life would take him, but I wasn't thrilled to take the journey. Even if the movie was shorter, it wouldn't have made a huge difference. I admire what Kubrick accomplished with this epic, but it's not the type of movie that I'll revisit in the near future. Regardless, I'm glad to catch up with a blind spot from the beloved director. I remember being extremely awed by the visuals in this film, but it's the only Kubrick film I've never seen more than once. Dave, I think that pretty much goes along with my feelings about this movie. There's plenty to like, but it's not something I'll leap at the chance to watch again soon. This is one of my favorite Kubrick films, and among the most interesting films I've seen period. Even just on a visual level, with the mimicking of natural light and the way so much of the film looks like a painting. It's interesting you mention Marie Antoinette, as it was such an overt tribute to this film. Anyway, a few other thoughts: "period piece" makes one think of Merchant-Ivory or other comparatively dull filmmaking. I wouldn't make too much of the period setting of this, or of it being that different at its core from Kubrick's other films. The lead character being "enigmatic" or becoming "less appealing" - isn't that how his films generally work; playing around with, and cutting against, our desire to identify with a hero? Dave, when I use the phrase "period piece", I'm thinking more about the exquisite costumes and attractive locations of the wealthy figures in 18th-century Europe. 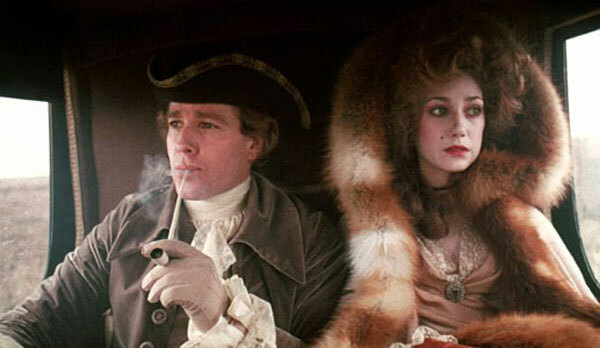 I agree that it isn't really fair to put Barry Lyndon in the category of some other films like Merchant-Ivory productions. I do feel that the subject matter could be a hurdle to overcome for some viewers; it made me hesitate before watching it. You make a good point about Kubrick's lead characters frequently drifting into madness or ruin as their stories progress. My point is that we nearly spend the entire movie with Redmond, and it's tough to stay aligned with him for such a long time when he acts like such a jerk. When the story shifts over to tragedy, we feel for the guy, but a lot is his own doing. That's not a flaw in the movie, but when I'm looking at the characters, it plays a role. Thanks for the response! Good to hear your reactions to a review. Good review. I consider this to be only middling Kubrick. While there are some very good things about it (the aforementioned visuals) there are some not so good things. I kept getting a feeling like they were almost trying to make a Tom Jones-like movie, but then drawing back from that to make it a little more serious. And I didn't think O'Neal did much with the role. Thanks Chip. I think there's a lot to like in this movie, and it would likely improve for me on a repeat viewing. However, I do agree that it isn't one of my favorite Kubrick films. I'm glad that I was able to catch up with it either way.